Are you stuck in your old voice box? When you learn to sing out of the box you’ll discover a whole new vocal style ready to be used. 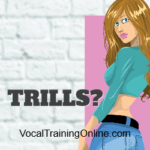 This lesson about singing styles focuses on developing a vocal style of your own. It’s time to break out and sing like nobody else! Have you always had a passion for singing deep within your heart and soul? Does a lack of motivation and a sense of failure keep holding you back? 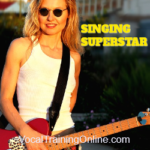 Want To Develop Your Own Singing Styles? Get Out Of The Box! Do you feel as if your vocal talent is wasting away, and you want desperately to get a fresh new start at this special talent you have, but cynicism and lack of creativity keep you frustrated? You Might Be Living in an Old Voice Box! So, there is no better time than the present to recharge your battery and become the singer you always wanted to be. 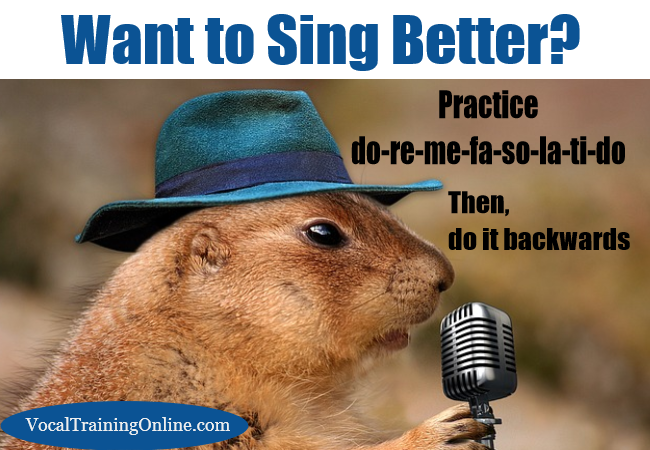 And, these simple singing tips can help you move forward. Don’t worry about letting your hair grow long or shaving your head and keeping up with all the latest trends, just be true to yourself. Since you have a passion for singing, here are some suggestions for “thinking outside the box” and reinventing yourself. The suggestions below will guide you on devoting your time, energy and effort into doing what you love. Don’t limit yourself to other people’s songs. Let your creative side come out and write at least one of your own songs to sing. Make your own arrangement of a popular song heard regularly on the radio. If you don’t feel comfortable writing, I’ve written a review of a cool course called Superior Songwriting to teach you how. 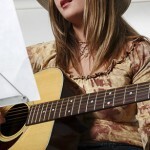 ==> Read all about Superior Songwriting here ..
Get out of your comfort zone and learn a country song if your favorite type of music is rock n roll. Who knows, you may become a fan of bluegrass, or hip-hop, or.. Broaden your horizon and watch your singing abilities grow. If you want to sing every day, give yourself permission. Sing while driving down the highway. Or, lock yourself in the bathroom, stand in front of the mirror and sing, sing, sing. Singing consistently helps you develop your singing style. And, it keeps your voice in shape. 4. Don’t Be Afraid of What Others Think – This Is NOT American Idol! Get past that fear of being heard by others. Basically, remind yourself of how much you want to sing. Ask a group of friends to let you perform in front of them, and get their reactions. Don’t worry about your appearance and age. Singers come in all shapes, sizes, young and old. They too strive to get out of their box. Just be yourself & have fun! Increase Your Vocal Range And Go For It! Enjoy being out the box by soaring to even greater heights with your new singing style. Increase your vocal range and sing in more keys than you ever imagined. 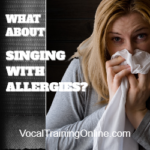 Want to Learn More about Singing Styles? You’ll find lots of info online about singing styles and using your voice in new ways. But, if you are a beginner vocalist, take care of basics first. I found a unique program to help take you in new directions with your singing talent. It’s called Singorama and I believe you’ll be amazed at how far you can go! ==> Find the details here and start your singing career off right. New singing styles and adventures await you. If you need more info first, read the Singorama review here ..
Over 30,000 People Use This To Sing Better..